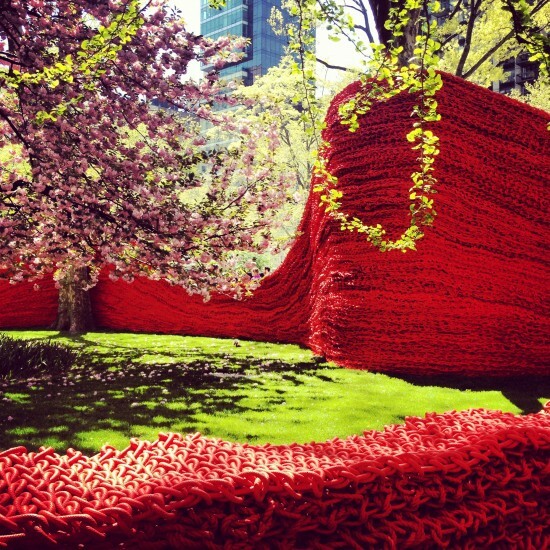 Yesterday, brilliant sunshine, a gentle spring breeze, and 65 degree weather set the scene for the inauguration ceremony of Orly Genger’s remarkable new art installation, titled Red, Yellow and Blue, in Madison Square Park. As you navigate your way through the park you will find yourself surrounded by a fanciful scene, as vibrant undulating walls arch into blossoming trees, spill onto lush lawns, and unfurl all around you. 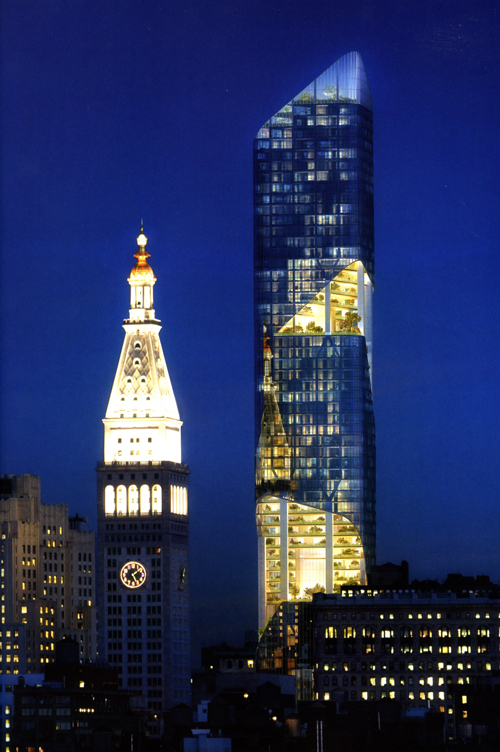 “Orly Genger has woven her magic throughout the park,” said Mayor Bloomberg, who spoke at the inauguration ceremony. 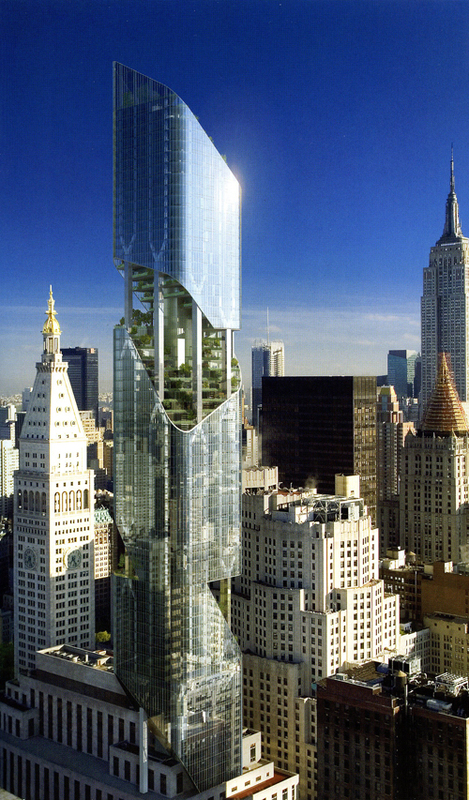 The large-scale project was installed as the latest chapter of Mad. Sq. 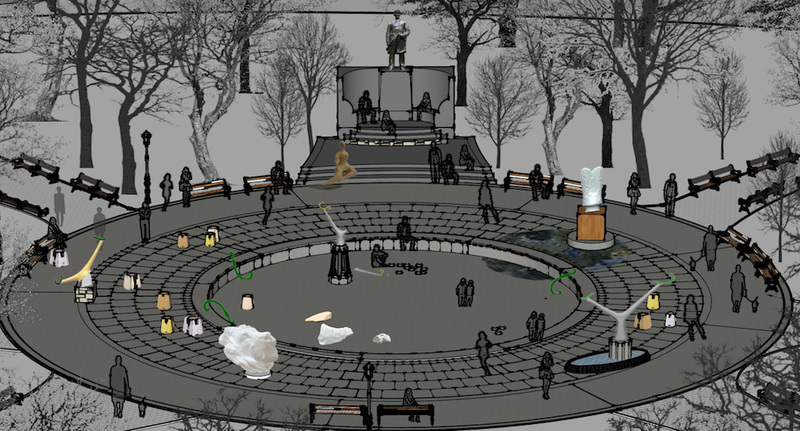 Art, a public contemporary arts program presented by Madison Square Park Conservancy that aims to revitalize the park as well as the surrounding community. “[Red Yellow and Blue] is both innovative and environmentally sustainable. 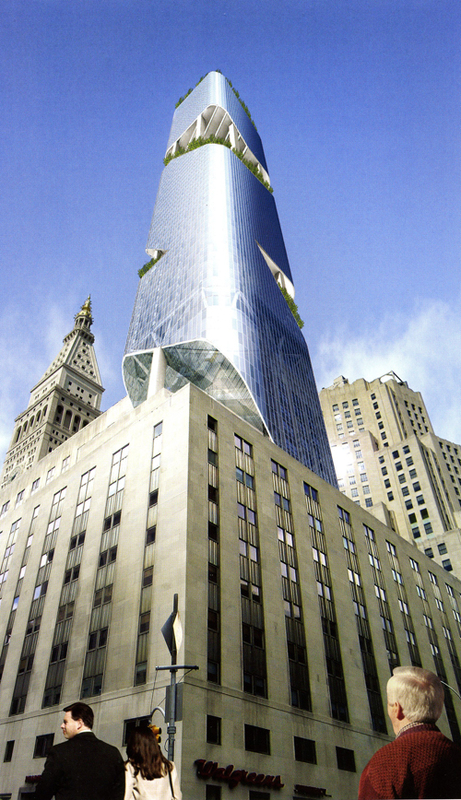 It is projects like this that are a big part of what gives New York City our identity and attracts visitors to our city,” said Bloomberg. The intense physical labor that was involved in the crafting of the massive rope-walls that enliven the park’s verdant lawns is as incredible as the end product. Genger and her team of assistants spent 9,000 hours in a Brooklyn warehouse tirelessly hand-knotting 1.4 million feet (equaling almost twenty times the length of Manhattan) of re-purposed nautical rope that was collected from lobster fishermen working along the New England coastline. The thick bands of hand-knotted, or “knit,” rope were painted using 4,000 gallons of red, yellow, and blue paint, and then transported to Madison Square Park where they were layered one on top of the other using steel supports. 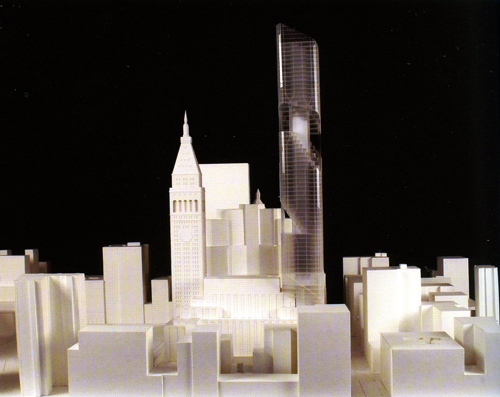 Three individual structures were then fashioned on-site to respond to the landscape of Madison Square Park. Genger’s work communicates an interesting paradox. The artist implemented a historically “feminine,” domestic practice of knitting to create burly structures that dramatically transform the park and immediately weave visitors into this dynamic outdoor environment. 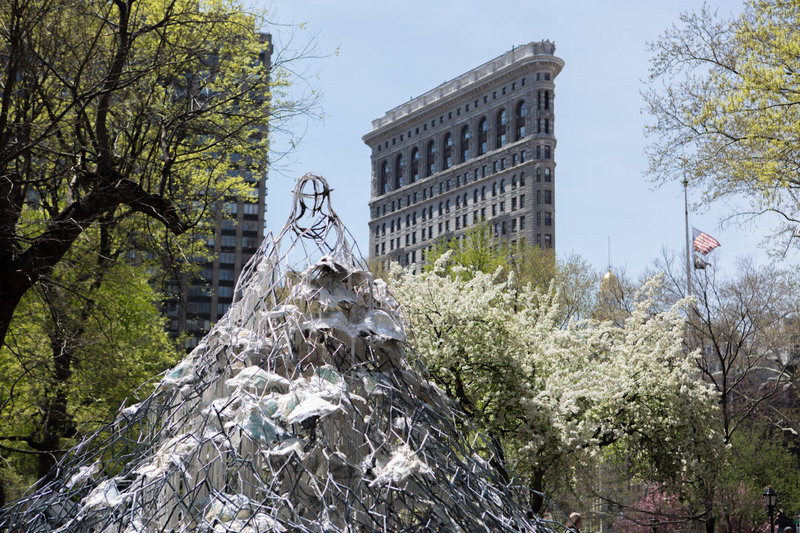 “For Madison Square Park I wanted to create a work that would impress in scale and still engage rather than intimidate… The tradition of knitting carries the sharing of stories and the installation draws on that idea. The repurposed rope brings with it the stories of different locations and by knotting it, a space is created for the words and thoughts of viewers in New York City to complete the work, creating a silent dialogue that waves along,” explained Genger in a statement. Red, Yellow and Blue is the New-York based artist's largest work to date. 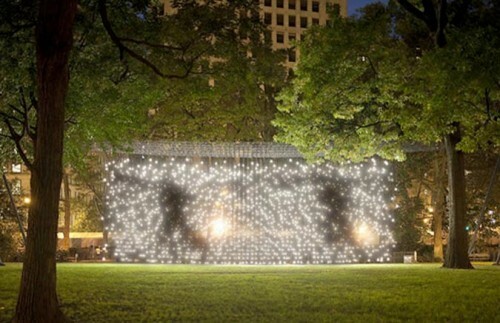 The installation will be on view at Madison Square Park all throughout the summer, until September 8, 2013, after which Genger will re-imagine the installation to fit Massachusetts’s deCordova Sculpture Park. New York-based artist Leo Villareal is creatively illuminating the constructed form. 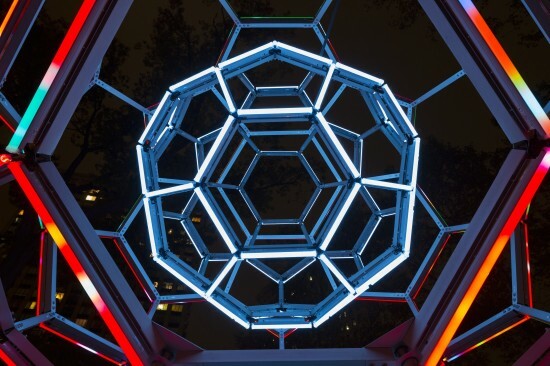 In Madison Square Park, Villareal's LED light-up geodesic dome, Buckyball, stands tall, undamaged but unlit after Hurricane Sandy. The Madison Square Park Conservancy told AN that the lights are expected to be back on tonight. And soon, Villareal also plans to light-up a far larger construction on the West coast: the San Francisco Bay Bridge. The 30-foot tall Buckyball consists of two nested spheres created by a series of adjoining pentagons and hexagons resting atop a large platform. 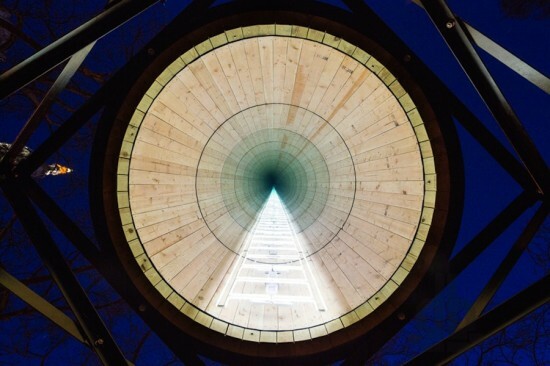 Each sphere is built using LED tube lights over a metal frame. Random mathematical sequencing allows the tubes to change color and create over 16 million different shades across the geometric sculpture. The spheres will be on view in Madison Square Park through February 1, 2013 and is typically lit up from dusk till dawn. The sculpture was powered down during the recent storms. Meanwhile, Villareal is also working on his next project titled The Bay Lights. This light installation will cover the San Francisco Bay Bridge, creating light patterns visible to residents on either side. Meant to celebrate the bridge's anticipated 2013 East Span completion, 25,000 white LED lights will be placed along its 1.8 mile span and climb up the 500-foot high steel cables. Shifting light patterns will be displayed from dusk until midnight for two years, visible from afar but hidden from crossing drivers. The grand lighting scheme is planned to open in early 2013. 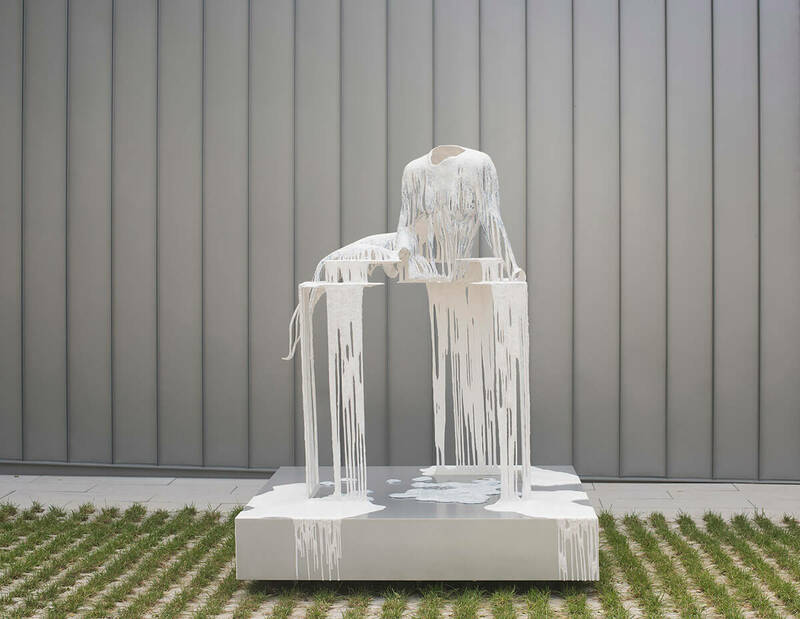 Broken Window, the second installation, will be situated near the main entrance to Madison Square Park at 23rd Street and Fifth Avenue. An array of LEDs encased in a glass-brick wall (70”h x 70”w x 10”d) will create illuminated images that appear to glide across the glass plane, reflecting the movements of the city around them and echoing the aesthetic poetry of the Scattered Lightinstallation. Situated on the eastern lawn adjacent to Madison Avenue between 24th and 25th street, Voices in the Subway Station, the third installation, will feature LEDs encased in two dozen glass tablets (14” x 18” each) arrayed across the lawn at ground level. The light pulses emanating from each tablet will be rhythmically modulated to represent the voices of individual travelers as recorded in conversation on a subway platform, combining to create a visual symphony rendered in light.